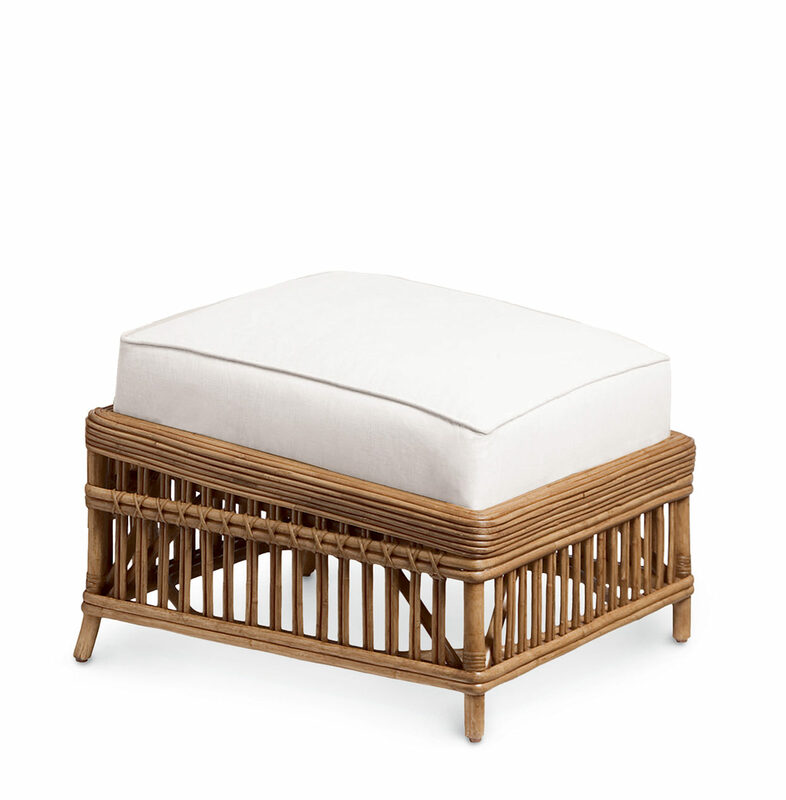 Multiple pencil pole rattan wrapped around top of frame accented with leather bindings. Pieces are replicas of the furniture used on FDR's yacht, USS Potomac, during his presidency. Available in all PALECEK finishes. Coordinates with President's collection.